Something for everyone. That’s the way I’ve heard my online craft store described by my valued customers. Painting T-Shirts has been a passion of mine since I became a Certified Painting Consultant for Tri-Chem. I love their products and use them proudly since they have unique transfer and stencil designs that allow me to come up with wonderful and popular items like the Fruit Design and Heart Design T-Shirts and the Guitar Design T-Shirt for children. 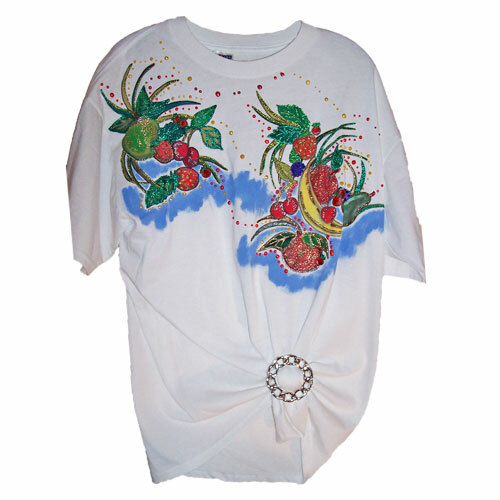 I enjoyed the Hand Painted T-Shirts I first made when I started my unique online craft store so much that broadening my horizons seemed like a logical and satisfying artistic expression. 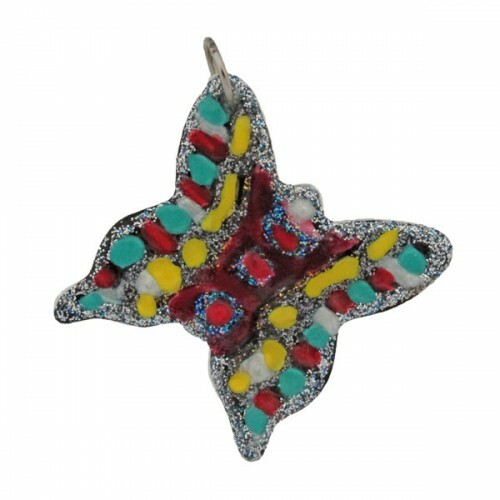 Enter my Hand Painted Jewellery line that has a fine selection of both pendants and earrings to choose from. Beyond the comforting fact this one of a kind design is painted with Trichem water based non-toxic paint, the Multi-Coloured Teardrop Pendant that leads off the pendant section of The Craft Corner is outlined with Spark-l-On paint and comes with an attractive chain included. It’s more than something that goes with any outfit and adds a personal expression to any event you attend. This pendant is unique and won’t be found anywhere else after you’ve made it your own. I’ve taken the time to lovingly craft a series of other unique pendants like the Ceramic Bisque Butterfly Pendant and the Oval Oriental Design Pendant, to name just a few. Although each and every one is different and exclusive, they all have one thing in common. Every one of these pendants is hand drawn and painted. Each of them is a personalized artistic gift that’s never to be duplicated and forever yours. Of course there’s more to my online craft store than a wonderful selection of pendants. The Hand Painted Jewellery on display for you at The Craft Corner also includes an exciting array of earrings you won’t want to miss. This entry was posted in Hand Painted, Jewellery and tagged hand painted jewellery.